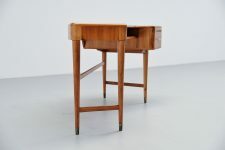 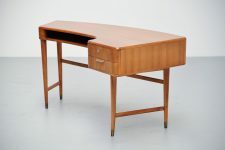 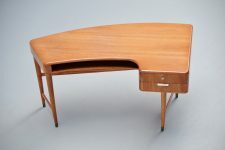 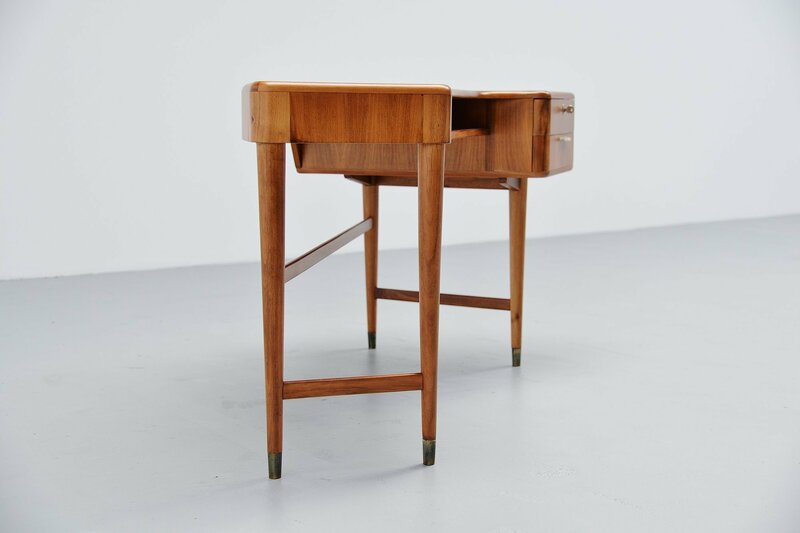 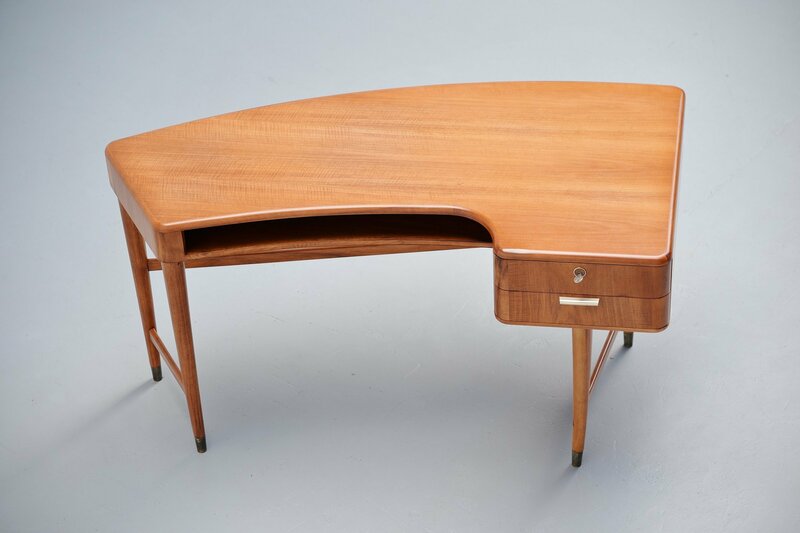 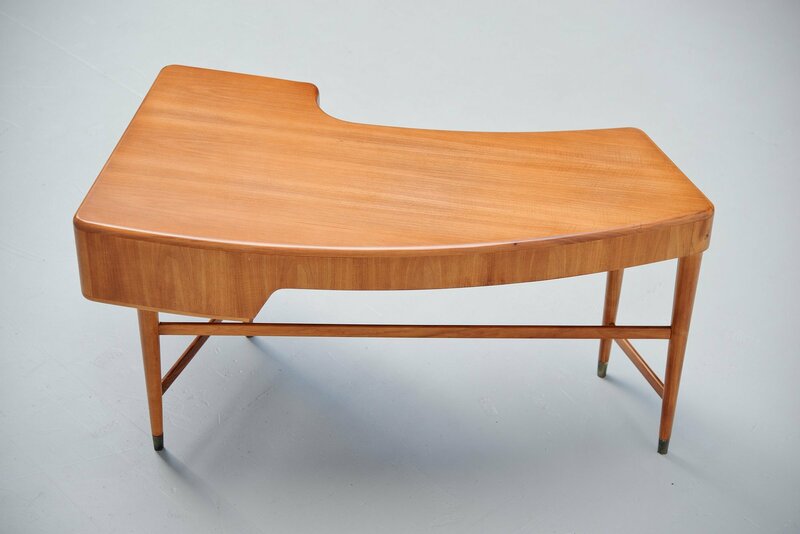 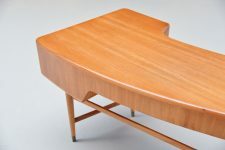 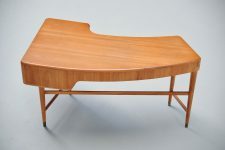 Very nice kidney shaped ladies desk designed by A.A Patij and manufactured by Zijlstra's Meubelen, Holland 1950. 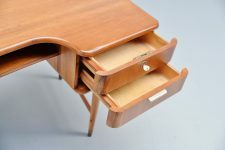 This desk was made of walnut wood and has some brass details, the feet for example. In the middle there is an open storage space and on the right there are 2 drawers. Very nicely refined ladies desk in nice refinished shape.